Like shooting and breaking glass?? then, try our game. The 3D effect of the game looks so realistic. Bottle shoot is about shooting as many bottles as you can in limited amount of time. If you can do both you will become a real Bottle Shoot Master! If you like fun and addictive games – Bottle Shoot is for you! Just aim and shoot!! Do you like shooting and broken glass sound ? Blast bottles, play mini-games, and compete all over the World ! 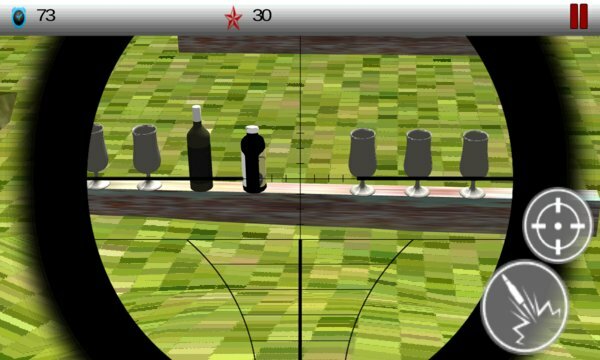 Just take your gun and sight a target, start the shooting bottle game.This game has four intresting levels. 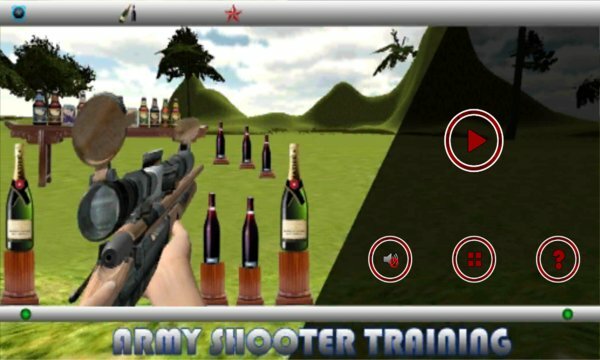 Army shooter training is a wonderfull developement from developers.i think you guys like this game. think you've got a good sight? bottle shoot game allows you to aim and shoot the bottle and broken glass. you need to shoot the bottle to get points. don't waste time, the game over when the time is finished. bottle shoot game for everybody! now shoot as many bottles as you can.